What Are Binaural Beats? Binaural beats are an auditory illusion perceived by the brain when two slightly different frequencies of sound are played into each ear (bi – two, aural- ear). When wearing earphones that are playing slightly different notes in each ear, our brain perceives the volume to pulse (oscillate) at a fixed rate. Theta waves are slow waves, generally running somewhere between 4 and 8 hertz. Theta waves are commonly associated with deep relaxation, meditation, intuition, and higher consciousness. Consider the way you feel when you sit on your sofa and enter that calm, relaxed, almost trance-like drowsy state. You aren’t ready to fall asleep but you’re in a daydream mode. In this state, your brain is most likely awash with theta waves. This state is not dissimilar to that of meditation. A binaural beat is a term that we’re fast becoming familiar with. Scientists who study the brain have been focusing on binaural beats for some time to gain a better understanding of how brainwaves and sound frequencies can influence certain mental states. Basically, binaural beats are generated sounds designed to modify your brainwaves to influence moods and change harmful behavior patterns. You can also achieve certain realms of consciousness, such as relaxation or sleep. Heinrich Wilhelm Dove discovered the process in 1839 and the effects of binaural beats have been the focus of many scientific and medical studies ever since. Now we know that binaural beats may help reduce stress and promote relaxation, creativity, meditation and other sought-after mental conditions. Binaural beat recordings can be found online, some downloaded for free while others can be purchased. Some also come with video images that increase the intensity of the binaural beats. There are a number of binaural beats designed to help you with whatever habits or situations you’re trying to alleviate. For example, one online site offers recordings of binaural beats that can help with losing weight, stress and anxiety, insomnia, depression and much more. Scientific studies performed on unconscious patients have confirmed that binaural beats do have a positive effect. The time it takes to realize success from binaural beats varies from seven minutes (minimum) to 30-45 minutes. Receiving a positive effect from binaural beats requires focusing on the tone. It’s the same sort of syncing that happens as we listen to certain music, and also depends on electromagnetic fields and the dominant brainwave frequency. The binaural frequency may change several times during a session to create the best possible outcome. Many are turning to binaural beats as a self-help developmental tool. The process isn’t addictive and is completely safe, although it’s not recommended for those who have epilepsy. It’s fast becoming another form of alternative health care that people are using rather than pills or other harmful methods to combat sleep disorders, obesity, anxiety, and depression, just to name a few. We’ve only scratched the scientific surface of the ways that binaural beats can help – both medically and emotionally. Studies are currently being performed and more information is sure to surface soon. ✓ In the theta state, we feel much more open and connected to other people. ✓ The theta state is the deeper subconscious to the unconscious part of the mind. The sounds of binaural beats are all different, depending on what you’re seeking help for. Some sound like “white noise,” while others might resemble rainfall. 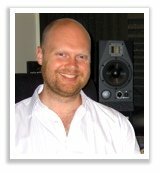 Most online binaural beat websites let you sample a sound through your computer before you make a decision to purchase. Using binaural beats as a way to combat behavior or health problems isn’t new, but the amazing effects of the process are just beginning to become known. Before you purchase a CD, Mp3, or DVD of binaural beats, do some online research and discover more about what it’s all about and how it might help you. Binaural beats can be an effective tool in reaching untapped meditative states. For some people, reaching a state of relaxation is difficult. The brain doesn’t always cooperate with the mental state we want to achieve, so we’re left frustrated and irritated by the entire process. Brainwave synchronization has been used for centuries, but the modern world is just beginning to realize the positive benefits. Studies now report that the use of binaural beats can hasten the process of meditation and let you reach meditative stages that you’ve never before been able to achieve. Products are specially designed to induce the desired effect, and many are available for other programs such as brainwave frequencies designed to help you quit smoking or get rid of another bad habit. There are also programs for better concentration and healing. When the brain attempts to compensate for the different sounds being heard in each ear, the “frequency-following response” occurs and produces brainwave synchronization. It may sound complicated, but it’s really a very simple process of programming the brain to help achieve a desired state of mind. Binaural beats take that technology many steps further by using brainwaves to help create altered states of mind. Meditation is one of the most popular uses for binaural beats because it’s been proven to help heal the body and reach mental states that expand the mind. There are hundreds of great binaural beat audios that you can download for free on the Internet. Some of the freebies don’t offer the best frequencies, so do your research before you download free products. It’s better to pay a small price for a product that will do you the best rather than waste time and effort on a free, low-quality product. Many products offer the binaural beats in the form of music or other soothing sounds – so do your homework before making a decision. When we were kids, our brains were like sponges, soaking up everything we came across. But, as we grow older, we lose some of our ability to learn new things. Our brains have huge potential, but we need to know how to unlock that potential to realize the power that our brains possess. Because of the stressful lives, we live today and the number of stimuli being hurled at us from media and other sources, we’re frequently in “overload” mode. We’re tired when we need to be relaxing and that automatically shuts off our brain’s power to learn. Sometimes we turn to espresso shots or pills to feel surges of energy – but what if you could harness the power of learning that your brain possesses without the harmful side effects of too much caffeine and/or artificial stimulants? Binaural beats for learning is the way of the future when it comes to programming our brains to respond and react to outside stimuli such as books, work or anything we need to concentrate on to learn. Scientifically, binaural beats are known as “brainwave entrainment.” The way it works is that two tones with slightly varying frequencies are presented into each ear, using stereo headphones. Out of this combination, a third tone will be perceived – and that’s when brainwave entrainment occurs. The reason this is so important to learning is that the third tone works to give the brain a boost to whatever you’re trying to accomplish. There are binaural beats for sleep, healing, stress and anxiety, astral projection – and much more. You can learn more about the scientific process that produces these amazing results by performing a simple Google search HERE. Scientific studies indicate that it actually works and more studies are being performed to find more ways that binaural beats can help with various disorders – or just to make our lives better and more fulfilled. Anyone can increase their brainpower and extend their learning abilities by using binaural beats for learning. It’s a phenomenon that works no matter what your past education or upbringing may have been. Binaural beats have been used for centuries to improve concentration and boost learning power. Chants and drumbeats were used by Shamans to reach a higher level of experience. Meditation while listening to nature sounds has helped many overcome stress and anxiety. Einstein listened to Mozart concertos when he wanted inspiration and concentration. Amazingly, Mozart’s music contained similar tones present in today’s engineered binaural beats. Imagine how the use of binaural beats could help unlock the potential of your brain power if you happen to be a student who’s inundated with tons of studying, a writer plagued by writer’s block, a business person learning a new way to do business or an engineer trying to learn new technology. Browse through the many downloads available for a complete picture of the various binaural beats for learning. Listen to some samples and then decide which you’re going to use to unlock your learning potential. In 2015, workplace stress was responsible for $190 billion in the U.S. health care industry. And that number doesn’t take into account all the other types of stress we deal with, such as interpersonal stress, money worries, and family difficulties. How can meditation help reduce stress? By giving us a better grasp of how to work with situations, a heightened awareness of our emotions. Meditation may boost cognitive flexibility and decreasing emotional reactivity, changes which promote a healthy response to stress. Stress clearly impacts each of us in all areas of our lives and is the reason many people take up unhealthy habits, such as drinking, smoking, and drugs. We can take a vacation, but the same situations will be there waiting for us when we return. Life is full of stress because we live in a constantly changing world, and there’s no way to stop that. Many of the things in our lives that cause us stress we can do nothing about—we can’t change some situations, no matter how we might want to. Some stress is healthy for us. It causes us to do our best and to keep going when things look impossible. The times when we overcome stressful obstacles improve our self-confidence and make our lives richer. Our body responds to the stress of potentially dangerous situations to protect us—to help us survive. This “fight or flight” response is hard-wired into each of our DNA. However, too much stress causes unhealthy amounts of wear and tear on our bodies and minds. Surely there are positive ways to manage stress! Our automatic nervous system, which determines how our unconscious physiological processes work, is made up of two systems—the sympathetic and parasympathetic nervous systems. The sympathetic is the one that provides the “fight or flight” instinct. When we are under pressure, it kicks in to help us deal with the situation. The parasympathetic nervous system keeps the sympathetic system in check. It returns us to a balanced equilibrium. Both of these are important for our well-being. The problem starts when there are so many overwhelming pressures in our life that our sympathetic system stays on high alert all the time. This doesn’t allow the parasympathetic system a chance to return to a balanced state where we can reflect on and come to terms with changes and relax. So the helpful “fight or flight” response turns into a trap where more and more stress builds up without the “release valve” of equilibrium that helps us manage the stress. When our fight or flight response is always on alert, we feel totally stressed out. During these times, we often find ourselves making poor decisions that can negatively impact us later, which causes a cycle of even more stress to accumulate. When caught up in this cycle, we frequently overact, which again, makes matters worse. How do we get out of the cycle of entanglement in stress? Meditation has been used for centuries to deal with stress and the responses to stressful situations. But how does it help? In our modern world of perpetual busyness, our sympathetic nervous system is frequently in overdrive. We find ourselves constantly rushing from one activity to another, multitasking and being always available, thanks to our smartphones and the Internet. Meditation offers us a chance to stop, to take a break from our busy lives. During meditation, we get familiar with how our mind works, we get to reconnect with our bodies and we get to recognize the feelings and thoughts that are causing our stress. These feelings are often related to external events or situations that we find stressful. When we meditate, we cultivate a new awareness, or mindfulness, which helps us clearly see how our inner self-talk and automatic tendencies of reacting, or overreacting, to certain situations cause us stress. We start to appreciate how much of the stress in our lives we create internally by the way we think about and respond to situations. This new awareness then gives us the opportunity to make changes in how we respond to difficult situations. So meditation is marvelous. But what about all the preconceived notions a lot of people have about meditation? Many people think meditation is too “out there” for them or that they won’t be able to do it. Let’s bust those myths right now so that you feel more comfortable and confident using meditation to manage your stress. To ease the burden of our busy lives, we are all looking for ways to manage our stress. No doubt you have heard of meditation, and may even know someone who practices it, though you may not have tried it yourself. Many people believe they can’t meditate—that they can’t still their mind long enough to enjoy the benefits it offers. There are many such misconceptions about meditation, but with a bit more information, you too can learn how to easily and naturally utilize meditation to relax. Empty Mind Meditation – Dangerous or Desirable? Meditation is often believed to be a way to totally still the mind–to stop thinking altogether. But in truth, meditation practitioners watch the mind. It’s impossible to stop the mind from thinking—that’s what it does. But stopping all of our busyness for a while and being aware of the thoughts that pop up into our heads can tell us a lot about what is causing our stress so that we can more effectively deal with it. This often involves the “self-talk” that is typically negative or limiting. While it’s true that meditation grew out of spiritual or religious systems, it in itself is not a religious practice. In fact, the most common forms of meditation, such as watching the sensations of breathing, have no religious associations at all. There is no belief system that you need to buy into and nothing you need to do to practice stopping and resting your constant thinking. Meditation is really about being kinder to yourself by taking time out of your busy life. Many people assume they must diligently practice hours of meditation for years before they can reap the benefits. But scientific evidence proves that as little as 10 minutes a day of meditation can significantly reduce stress, improve clarity and focus, lower blood pressure and decrease depression and anxiety. It’s easy to look at some of the well-known meditation practitioners and assume that you have to be a calm person to have the wherewithal to be successful at meditation. But it’s actually the reverse that is true—people become calmer, more gentle and compassionate by building a meditation practice. There’s no certain personality type that finds it easier to meditate. Everyone can learn to discover a more calming part of themselves by practicing meditation consistently. Weird Positions and Strange Words For Extra Points? The myth that you have to sit in uncomfortable positions on the floor while spouting words in a foreign language has been perpetuated by modern media. Yes, there are those who practice certain types of meditation which use mantras (the repeating of a word or phrase, like OM) and who can and do sit on a cushion on the floor for an extended amount of time. But both are totally optional. The truth is that you can sit anywhere, or even lie down, to meditate. You earn no extra points for being uncomfortable or speaking a string of words you don’t understand. Ask any meditation practitioner, and they will tell you that they meditate while riding the bus to work, in their office chair and after waking in the morning. Meditation is all about relaxing the mind and body, in a way that’s comfortable for you. After all, if you aren’t comfortable, it’s hard to relax and manage your stress. Ok Then, after all that, what really is meditation? Now that we’ve established that meditation isn’t necessarily mystical, difficult or only used by those who practice a certain religion, can we define it? It is simply stopping to check in with yourself. It’s a time of thought-less awareness In the middle of our busy world. Most of us typically live in our heads with thoughts swirling and twirling. We don’t take enough quiet time for ourselves to just rest and recognize how we are truly feeling or to give our minds a break from the clutter and noise. It’s a way to declutter the mind and to recognize that we are actually alive and breathing at this moment. It can be a time of gratitude and reflection also. In fact, there are many varieties of meditation that you can practice. We’ll talk more about that later. We don’t do anything without an aim or a goal in life. We go to work to make money, work hard to keep our jobs, prepare dinner to feed our families and ourselves, exercise because it makes us healthy and strong. So what can we make of sitting and doing nothing for “no reason,” other than to just be with ourselves at this moment and notice what thoughts, feelings, and sensations come up? It’s challenging because we have no use for those who are aimless in our culture. They are called lazy, good-for-nothings, unambitious, and live on the fringes of society. How Does Meditation Really Help In My Everyday Life? Why should you meditate? After all, it may sound boring or pointless. But science has proven again and again over the last 30 years that meditation positively impacts our mental health, physical and emotional. Few things can make the same claim! How Does Meditation Work To Change Your Brain? Neurologists have proven what thousands of years of yogis and other spiritual guides have said–that consistent meditation practice changes the way we think, react and feel. Using modern technology, scientists can see that consistent meditation practice literally changes pathways in the brain, building new synapses connections that alter our automatic responses to situations, people, feelings and thoughts. If that weren’t enough, different pathways develop depending on what type of meditation you do. For example, if you practice mindful meditation where you focus on your breath with the intent of bringing your mind back to the breath whenever it strays, concentration pathways in the brain are created and strengthened. That means that it becomes easier and easier for you to focus on any task, not just during meditation, but in all areas of your life. Or, as another example, if you practice loving-kindness meditation frequently, you easily develop a stronger, more compassionate connection with others–both those you already know and those you just meet or even just hear about (like on the news). Different parts of our brains coordinate different aspects of our lives. There’s a part of the brain, the hypothalamus, that response to stress and anxiety, for example. There’s a part that responds to emotions and sensations–the amygdala. By using MRI and EEG machines, neuroscientists have shown that those who practice different meditation techniques literally increase the gray matter and have higher activity in those parts of the brain. So, those who frequently practice mindfulness meditation where they focus on their breath have a higher density of gray matter in the hippocampus. A larger amount of gray matter has been proven to increase the abilities in that area of a person’s life. This means that those who practice mindfulness meditation have a stronger capability to concentrate on all different types of tasks and can more easily regulate their emotions and reactions to various situations. In numerous medical studies, after only 8 weeks of practicing mindfulness meditation, participants reported more consistent feelings of well-being, found it easier to relax, noticed acting with awareness and practicing non-judging during their daily activities, enjoyed more general happiness and improved their tolerance for stressful situations. Meditation truly does amazing things for us! But you might be confused by all the different types of meditation you can choose from. If you Google “meditation,” you can get overwhelmed quickly by all the different styles that are popular. It’s important to find a meditation technique that is comfortable for you so that you stick with it. This short list can get you started thinking about what types are available and which ones might be right for you. Since we’ve already mentioned this one, we’ll start here. Mindfulness meditation is the practice of focusing on the breath, simply observing it coming in and going out. There’s no attempt to control the breathing; the breath “breaths itself.” When the mind wanders, as it always does, the thinking is noticed, without judgment, and then the attention is brought back to the breath. Meditators usually focus either on the breath as it moves the abdomen or as it moves through the nostrils. Obviously, this is a very easy meditation practice that can be done by anyone, just about anywhere, anytime. Guided meditations are just as the name implies—you are guided through the meditation by a person recorded on a CD or MP3 download. Guided meditation is a great way to get started meditating, but even long-time meditators use these to add variety to their meditation practice. There’s never been a better time to use guided meditations because there are loads of apps that offer different types of guided meditations of various lengths. You might want to listen to a shorter one if you meditate on your lunch break, for example, but do longer ones at home when you have extra time. Many people find it easier to meditate when they have someone guiding them—it’s easier for them to focus on what the voice is telling them to do rather than to sit in pure silence, which makes their mind want to think. When people hear the word “meditation,” a lot of times, this is what image pops into their heads. It’s a meditation type that was prevalent during the 1960s and 1970’s when spiritual experimentation was popular. This type of meditation is done with a certified Transcendental Meditation teacher. They give you a mantra that resonates with your energy, and then you recite it during each meditation session, which is generally 15-20 minutes, 2 times a day. This form of meditation is good for those who want to delve into spiritual awareness and who want to have a teacher to structure their practice. Some people prefer to move while they meditate, which is also possible. The movement is usually done very slowly, and the focus is on experiencing the body moving through space and the sensations, thoughts, and feelings that brings up. You can do yoga, tai chi or qigong, for example, which are each considered moving meditation techniques. You can also do walking meditation in which you walking extremely slowly, focusing on the sensations of the minuscule movements we make when we walk but aren’t aware of. During walking meditation, you may walk in a circle or just around an open area without trying to get to a certain location. You are practicing walking just to walk. Most moving meditation traditions encourage coordinating the breath with the different movements of the body. This form of meditation uses different sound frequencies and tempos to change brainwaves which control different parts of the brain. As mentioned earlier, different parts of the brain influence different mental states and behaviors. Binaural beats are piped in through headphones as two different sound frequencies are played—one in each ear. Many people have found this form of meditation extremely helpful, especially beginners and those who want to deepen their meditation practice. The meditator does nothing other than listen; the sound frequencies do all the work to deliver the person to the same metal states they would accomplish by performing other types of meditation, such as mindful meditation. There are many free and paid binaural beats meditations available online for you to try. You are on board now. You know what all meditation can do for you to relieve and manage your stress. You have an idea of what type of meditation you would like to try. But you still have questions. No problem! Most people have questions they want to be answered before they start a meditation practice. Here are the answers to some of the most common questions regarding meditation. How can I tell if I’m meditating wrong? Meditation can seem intimidating, and beginning practitioners frequently worry that they will do it wrong. That they won’t know the magical thing to do that will empower them to reap the benefits we’ve just listed for meditation. But there’s good news! You can’t do it wrong! Meditation is simply the act of coming back over and over again to your breath or another object of your attention. Your mind will think. You will notice your mind is thinking. And you will bring your mind/attention back to your breath. That’s it. There’s no way you can do it wrong! Of course, there are many different types of meditation techniques and each one comes with guidelines and instructions. But the purpose of each of them is pretty much the same—to stop and rest. They each use an anchor (like your breath, a candle, a mantra) to bring back your attention when it strays. They are each teaching, in their own way, to check in with your body, emotions and thoughts…to make friends with each part of yourself. You can try different types of meditation techniques until you find one that resonates with you. Or you can simply sit and focus on your breath. Why does meditation seem boring to me when everyone in Hollywood says it’s fabulous? Meditation isn’t necessarily mystical. In fact, once a person has started meditating for a short while, they wonder why nothing is happening. It can be disappointing and anti-climactic. And frankly, they wonder sometimes why everyone says it’s so great when it’s actually boring! Don’t worry if this is your response at first. It’s natural. Think about how little time we in the West sit in silence, doing nothing. Usually, we are asleep when we are in those conditions. The rest of the time we are constantly involved with texting, reading stuff online, watching TV and playing video games. In fact, we have become a society that expects to be entertained constantly. In meditation, we have none of these distractions. Without distractions, we are left only with our own thoughts, which can be scary, and yes, a little boring. Because we are sitting and doing nothing. When was the last time you did nothing? I bet you can’t remember! So if you start to feel bored when meditating, know that’s normal, even for long-time meditators! Just watch that feeling; don’t try to push it away or create a story around it (why you are bored). Just let it be there. When is the best time of day that I should meditate? How long do I need to meditate each day? The best time to meditate is different for each of us. Some people prefer to do it first thing in the morning, saying that it gets their day started on the right track. Others like to meditate during their lunch break or before bed. It’s really up to you. There’s no wrong or bad time to meditate. Try different times of the day to see what you like best. You may find that early morning or late evening work best if you have children or a busy household. This will ensure a quiet atmosphere, which makes it easier to concentrate on your breath or whatever anchor you are using. Remember, neuroscientists have found that even as little as 10-15 minutes of meditation a day provide the health benefits that are leading so many people to try meditation, including less stress build-up and the ability to stay calm in stressful situations. It’s important to start out with just a few minutes a day and then build up as your concentration levels advance. Chances are, you will start seeing the positive effects of the practice and will want to meditate for longer periods of time the more you do it. So start out slowly and build up so that you don’t get frustrated and stop practicing. How do I make time in my busy schedule to meditate on a consistent basis? Meditation is less about sitting formally on a cushion than it is about stopping, resting and tuning into your body and internal dialogue. That’s good news for all of us because it means that we can practice meditation almost anywhere and almost anytime. Just like with anything else, if it’s important to you, you will find time to do it. It helps that you don’t need to set aside a long period of time. If you are honest with yourself, you can find time by cutting back on other things you do during downtime, like watching TV or playing video games. For many people, the prospect of less stress in their lives is something they are willing to make changes for. Giving up 15 minutes of TV watching a night really isn’t that big of a deal compared to the benefits meditation offers! While formal meditation for 10-15 minutes at least once a day will greatly improve your health and well-being, stopping during the day to do a “mini-meditation” is a fabulous way to relieve stress and even keep it from building up. Just taking a few moments to stop, close your eyes and focus on your breathing will go a long way to rejuvenating your body and mind so that you can go back to the tasks that need to be completed more refreshed and energized. I find it really hard to focus when meditating. Is it okay to use a meditation app on my phone? Guided meditation is used by many meditation practitioners to add variety to their practice, so yes, it’s fine. In fact, many people find this type of meditation a great way to start because it is really very relaxing and having someone guiding you helps keep your concentration steady as you are first learning. And with all of the apps and audio downloads available online now, many for free, it’s a great time to be a meditator. Some people continue to use their favorite guided meditation long after they get comfortable with their practice, while others use it occasionally or not at all after they have been practicing for a while. Again, it’s totally up to you. You may give silent meditation a try once in a while though. We are inundated with sound (and noise) all day long, and it’s refreshing to sit in silence. While that may take some getting used to, you may find that you enjoy it. In fact, you may end up preferring more silence in your daily life, instead of always having music or the TV playing in the background. Do I have to sit on a cushion on the floor? I don’t want my roommate/spouse/kids to think I’m weird or weirder than I am. Meditation has traditionally been done while sitting on a cushion or using a meditation bench, but that doesn’t mean it’s the only way it can be done! You can sit in a chair, lie down, walk or stand and meditate. If you are tired or find yourself getting drowsy when you meditate, you may want to avoid lying down, though. The most important part of formal meditation is the quality of your awareness, not where or what you sit on. You want to be sitting with your spine straight, comfortable, but alert. You want to be comfortable enough to sit this way for at least 10-15 minutes (or longer if you want) without wiggling around, if possible. You should find a time when you can be uninterrupted, and if you don’t want everyone to know what you are doing, you may need to close the door and ask for some space. Another great possibility is to wake up a little earlier than the rest of the household. This will give you the privacy you want until you are more comfortable sharing this new practice. It will also ensure a quiet time when you won’t be interrupted. What should I do if I always fall asleep when I meditate? Meditation is supposed to be relaxing, but if you find you are always fighting to stay awake, your body may be telling you that you need to get more sleep. Many of us walk around every day sleep deprived, so consider going to bed earlier to make sure you get the sleep you need to live at your optimal level of health and well-being. If you have been lying down or sitting, try some standing or moving meditation. Or, maybe you need to find a different part of the day to meditate—one where you are more alert. Some people love to meditate right before bed because it helps them relax and sleep well after a busy day. But other people find they need to meditate in the morning or afternoon because they get too sleepy to concentrate when meditating at night. Find the position and time to meditate that works best for you, and you should find it easier to stay alert. It might also be that you are confusing sleepiness with relaxation or boredom. In our hectic world where we are constantly entertained or stimulated by our computers, TVs, Play Stations, and cell phones when we have nothing to hold our attention but just sitting and breathing, our bodies can relax to the point where we think we are sleepy. Compared to how we spend most of our waking hours, meditation is pretty uneventful. Instead of fighting the feeling of drowsiness, notice it and watch it. You may see it change or you may notice that it’s not sleepiness at all. What dogma do I have to “buy?” Isn’t meditation an Eastern religion? While the first mentions of meditation were used in religions in the East, there is no dogma attached to meditation. In fact, hospitals, companies, and community centers often provide meditation classes which are purely secular. People of all faiths, or none at all, meditate for various reasons. How do I get my mind to stop thinking during meditation? The answer to this is simple—you don’t. Your mind thinks…that’s what it is designed to do. The point of meditation is to notice when your mind has gone off somewhere and isn’t focused on the breath or the other object of focus. Don’t beat yourself up because you started thinking about what to have for breakfast or feeling angry when you notice you are suddenly thinking about that mean thing a coworker did yesterday. Just notice it and come back to focus on the breath. Meditators often call this constant, rapid thinking “monkey mind.” Have you ever watched a monkey? They are constantly moving around here and there with no discernable pattern or reason. That’s how our mind is. And we only really notice this when we stop our daily hustle and bustle. Our mind “has a mind of its own” and goes willy-nilly from one thought to another, often times without any seeming meaning or reason. That’s okay. That happens to all meditators, even ones with years of practice under their belts. The more you meditate, the less frequently it will happen. It will become more natural to watch the mind. But you will never be able to silence it completely. That’s impossible—until you die. I don’t think my meditation is progressing as quickly as my spouse’s/friend’s. What can I do to improve faster? Since we are so competitive in our daily lives, it can be hard to wrap our minds around doing something for no purpose. Remember “aimlessness?” Meditation isn’t a competitive activity. And no one can tell how your meditation is progressing just by watching you meditate. The benefits are internal, which is where meditation happens—on the inside. Remember, we are mediating to better manage the stress in our lives. And our competitiveness is part of what causes that stress. So noticing when we are feeling competitive and letting go of that is a good start to managing our stress. I’m high-strung and am constantly on the go. I’d love to manage my stress better, but I don’t have the personality for meditation. This is more of a statement, but there’s a question in there too. When the topic of meditation comes up, many people react like this. They think that meditation is only for calm people. Those really busy people can’t meditate. But the truth is, anyone can meditate. It’s just the willingness to take the time out to invest in yourself and sit with yourself. It’s kind of like when an obese person says they can’t exercise, that only thin people can exercise. But exercising is how those people got thin and fit in the first place. People who meditate usually do seem calmer, less easily upset or stressed, but that’s because they have “done the exercise.” All personality types can meditate. The question is, do you really want to better manage your stress? Sometimes we have to get to the place where stress is overwhelming us before we will stop and take the time to do something about it. I’ve heard about meditation, but isn’t it just a form of trying to escape your problems? Actually, it’s the exact opposite, though it’s easy to understand why you might feel this way. During meditation, we watch our thoughts, feelings and physical reactions, and often what comes up during meditation are the thoughts and feelings around what we see as a problem in our life. But instead of hiding from these problems, during meditation we turn towards them and consider them with great gentleness and compassion and with a sense of curiosity. If our mind starts blaming or worrying, we bring it back to settle on the breath, the feelings and the physical sensations. This watching without blame or worry builds self-awareness and opens our minds to new and creative ways to deal with problems. And sometimes, we discover that the issue really isn’t a problem at all—just something we can choose to let go of. Won’t starting a meditation practice turn me into a wimp? I can’t afford to lose my edge. No, it won’t make you a wimp or a doormat for the world. But it will naturally develop more compassion within you, both for yourself and for others. It will also help you see new ways of dealing with stress and stressful situations differently so that you don’t have to “have an edge” or be aggressive to handle the circumstances. All of this happens quite unintentionally—it is just part of the way that meditation literally changes the brain so that it can see new solutions and ways of stopping the robot-like way we tend to react, or overreact, to stressors. There are many places that offer free or low-cost meditation classes. You might find them at a local YMCA, community center, fitness center or community college. You can also find meditation classes advertised on bullet boards at your local health food store, chiropractor’s office or library, and they are frequently listed in local newspapers as well. You will probably see different types of meditation classes offered, so when you see one that looks interesting, but you aren’t sure what to expect, do a little online research, go to the meditation leader’s website or even call them. Individuals who lead meditation classes are very friendly and helpful, and they want people to touch base with them so that they can help make you more comfortable. You might ask them what will be included in the class, how many others are expected, what you should bring with you, how long the sessions will last and what type of meditation techniques will be taught. Take your time and inquire about a few different ones until you find the one that feels comfortable to you. It’s worth the effort! Guided meditations are a great way to start out meditating. In fact, many long-time meditators continue to use guided meditations to enhance their practice. There is a lot of variety available online through meditation websites and apps. There are also online stores where you can purchase from a large variety of guided meditations by instantly downloading them. 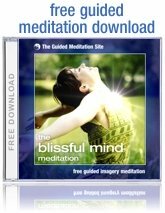 And since all of these types of guided meditations are portable, you can use them whenever you want, simply by pulling them up on your phone, tablet or computer. This makes meditating anytime, anywhere even easier! You might be surprised to learn that meditation is becoming so well-recognized as a stress buster that many larger companies are offering their employees meditation classes or rooms in the building set aside specifically for meditation. Even huge companies such as Google, Linkedin and others are taking advantage of the stress-reducing powers of meditation to improve employee satisfaction and productivity. Ask your HR department if there is any program in place or if they would be open to such a suggestion. Who knows, you might decide to lead a small group yourself at some point! If your company doesn’t offer this, look at your insurance company. Many large insurance companies are offering free or low-cost meditation course, some online, to help lower their cost of stress-induced medical claims. Just the number of free, let alone premium, meditation apps is enough to show you how popular this form of stress relief has become. No matter what type of device you use, you can find quality meditation apps that can help you get started meditating. These range from sounds of bells chiming to guided meditation to nature sounds. Some even help you commit to the practice by keeping track of how often and for how long you meditate in a week or month and then reward you for your dedicated practice. In our culture where tracking performance is expected, this is a way to start meditating and sticking to it so that you can enjoy the many benefits it offers. Don’t expect to sit for hours when you first start. In fact, you should try not to expect anything. If all you can manage is sitting for 2 minutes at a time, that’s great! Once you feel ready and able to move that up to 5 minutes, then do it. But there’s no standard amount of time that needs to be reached. Meditation isn’t a practice you are trying to conquer, but rather, a special time where you become friends with your mind and body again. If you don’t want to go the techie route by downloading guided meditations or using apps, but still want a little help getting started, there are other, more traditional props you can use. You may want to try a mantra. A mantra is a word or phrase that is said over and over again while meditating. This helps keep the mind focused, and they have been used for centuries. You can recite anything that feels right. Common ones in the West are your word for “God,” “I Am,” “Shanti” which means peace, “Metta” which means loving kindness and “Om,” which is the primeval sound of the universe. Or you can use your favorite religious passage, such as the Lord’s Prayer or Hail, Mary. You may want to try using a mala. A Mala is a set of beads that look similar to a rosary. It is a string of 21, 27 or 108 beads that are used to help you stay focused while meditating. You move around the mala, touching each bead with the breath or with a mantra. When you have completed a full in and out breath or have said the mantra holding the first bead, you move to the next one. You do this until you have completed the full circle of beads. Malas have been used for centuries and are a great way to keep your concentration during meditation. Conclusion – Meditation is a great way to manage stress. Plus it has many other health benefits, as you have learned. It’s also wonderful because you can do it just about anywhere and it costs nothing. And, it’s simple enough that you can start right away. It’s been proven effective for stress management through the ages and has now become a scientifically-proven way to keep stress at healthy, manageable levels in our complex world. We can start a meditation practice at any time—there are no requirements other than a willingness and desire to manage stress using meditation as a stress management technique. Congratulations on wanting to explore meditation! Check out this meditation for beginners guide to getting started, then head over to my complete FREE Online Meditation Course! – Your Meditation Journey and dig in deeper. In the meantime, here’s a great guide to starting up a meditation practice from scratch just to get you going in the right direction. This information on meditation techniques for beginners will help you understand some tips and tricks for a successful meditation practice that you can really build upon later. Keeping your mind in a constant state of flux is like keeping the motor on your car running all night long. You and the car will eventually run out of gas. Quieting your mind needs a top-five placement on your “to-do” list. Since we are so well aware of the needs of others, from our employers to our families, it is easy to overlook ourselves. Therefore, keep the notion that it is necessary to quiet your mind in the forefront of your mind. In this way, you will be able to go forth and do more. Block aside a time and place for yourself that enables you to think of nothing, do nothing, and clear your mind. If you have to leave the house, then do so. Let everyone know that you are unreachable. Sit quietly in your car if you have to, take some cleansing breaths, and think of absolutely nothing. You will see how even recharging for a few minutes during lunch each day will make a difference. Imagine then how productive the art and practice of meditation can be, in many ways. Studies are beginning to show through trials how meditation is having a positive impact on an individual’s health. It seems as though training your mind could have a direct impact on improving the health of your body. A Healthy heart – Studies are beginning to show that meditation could possibly be one of many contributing ways to lower cholesterol and blood pressure. Of course, any way to lower cholesterol and blood pressure is a way to a healthier and happier heart. Arthritis and other joint diseases – Meditation seems to have a direct impact on the ability to cope better with pain and stiffness associated with disorders involving chronic pain. Fatigue and sleep disorders – Individuals who practice meditation may get a bonus that transcends further into every category of health. Without a good night’s sleep, fatigue sets the stage for disease and stress. Getting a good night’s sleep will aid in the fighting off and recovery of illness. Those who meditate may find it easier to fall asleep and stay asleep. Warding off stress – It not only gives physical health benefits; meditation is also a wonderful way to ward off stress. Anyone who has ever practiced meditation may very well say that it has helped him or her in dealing with stress. Of course, meditation does not eliminate stress; however, it helps an individual cope better with it. This has a dual benefit – one of a healthy body and the other of a healthy mind. These are just a few of the reasons why meditation is good for you. Once you have decided to invest your time and effort into learning how to meditate, it is also important to decide on the when and the how of meditation. Meditation will offer many benefits in the areas of health, concentration, stress, anxiety, and joy. Make sure that your words and actions are aligned with the commitment to meditate. When you first begin to meditate, keep your expectations in check. Start off slowly and increase the time gradually. In this manner, you will not start off on too high a level with too many expectations and then you will not be disappointed. Give it some time. Do not expect to be miraculously transformed in the beginning. Meditation – just like anything else – takes time, patience, and practice. Many individuals think of sitting on top of a mountaintop with legs folded and fingers poised when thinking about successful meditation. Meditation does not, however, have to be that extreme. As a matter of fact, meditation can be quite simple if you follow a few tried and true tips for successful meditation. Set Aside an Allotted Time – When it comes to meditating successfully, make sure that you have an allotted time set aside each week for this purpose. If you choose to start meditating, it is best, to begin with, a once per week practice until you are more comfortable with the art of meditating. Even if you have to put it in red pen on your calendar, put it on your calendar. Use your smartphone to schedule a reminder, a meditation app, or even send yourself an email reminding you of your date with rest and relaxation. The rewards of being intentional about meditating are worth their weight in gold. Let Everyone Know of Your Intentions – Let everyone in your household know that you will be taking on the practice of meditation and when, how, and where you will begin this process of transformation. Let everyone know that you are committed and disciplined in maintaining this goal and that your health and his or her happiness depend on it, as well. Let your family in on a little secret. Tell them that meditating will be good for you and create a happier more relaxed and healthier you. This will have a trickle-down effect on all of your family members and it is in their best interest to support you as you go on this newfound journey. We all try to sabotage ourselves and talk ourselves out of things by making excuses as to why we should not do something. However, once you commit to making meditation part of your life, there will be no more excuses. Pick a room in the house and declare that space to be your new meditation room. Speak with your family members if you have family living with you. Explain to them that by sacrificing this space once or twice a week, they are helping you to achieve the goal of calmness and peace. If your family knows that you will benefit and that they will benefit from the transformation in you as well, they should be more than happy to accommodate you. Choose a space that has a minimal distraction potential, preferably where no phone exists. Decorate your space so that it defines you in a positive light. If your favorite color is blue, then a blue yoga mat or comfy blue pillow will be great additions. If you love to travel for leisure, put up some pictures of favorite places that you have been. As with any new adventure, the feeling of starting off with tons of excitement and exhilaration and then falling to the other end of the spectrum is common. When you begin your endeavor of meditation, it is important to remember that there will be times of frustration. Meditation is not a magic pill that, once swallowed, will come easily and effortlessly. It takes practice and it takes patience. Educate yourself on the art of meditation so that you will have a base knowledge before you begin. Get some educational materials to view, watch some videos online, and gather some reading material on the subject. Arming yourself with knowledge before you begin will allow you to have a more peaceful and results-oriented experience. By educating yourself, setting aside a quiet location, letting your family know of your intentions, and securing a quiet spot to meditate in, you can float into a meditation experience that is successful and peaceful all rolled into one. It is hard to focus – In the beginning, you may have high expectations that meditation will magically transform your life and it will do so immediately. This is not the case. Meditation takes focus. When you find your mind constantly shifting gears and you are unable to sit quietly and focus on breathing, you need to regain control of that focus. Thinking too much – If you are thinking too much about trying not to think too much, you will sabotage yourself. Try not to focus too much on getting clear and quiet. If you find you are straining the muscles in your forehead, trying to clear your mind, then you are trying too hard. Start with a slow progression of deep breaths and by tensing and releasing various parts of your body and your muscles. When it comes to meditation, too much effort can strain your results. Too many distractions – If you have not designated a quiet space for your mediation, chances are that you will not have a successful beginning. It is very important to have a set-aside room or space for your meditation practice. If you have chosen a place with too many distractions and too much traffic, you have set yourself up for failure. In addition, it is imperative to tell your family members that you have a schedule and you intend to stick to it. Disregarding your commitment – In the beginning, when you are not quite seeing the immediate results you may have anticipated, it is easy to disregard your commitment. However, make it a point to stick to your commitment even if that means being accountable to a friend or family member. If you give up too soon, you will never reap the amazing benefits of mind, health, and body. Difficulty with the breathing rhythm – Sometimes individuals may breathe in too deeply and out too rapidly. The point is not to hyperventilate yourself, but to find that rhythm that works for you. Long, slow, deep inhalations with long, slow exhalations will work better than short breaths in and short breaths out. Once you get the feel for the rhythm, you will have mediation down in no time flat. For some of us, being relaxed is easy, and for others, it is a learned behavior. That is the beauty of relaxing – if you do not know how you can learn. It may take some trial and effort, but it certainly is a learnable characteristic. If you are not overachieving and extremely busy in today’s society, you are the exception and not the norm. We are all guilty of this; we overextend, overachieve, and overstress ourselves to the point of breaking. Little do we realize, however, that we are hurting our body by hurting our mind. It is so easy to be upset when things do not go our way. From the moment we spill our coffee, lock our keys in the car, and forget our lunch, a spiral of circumstances can set us off into a tailspin of negativity. However, we can choose to stay in a state of discontent and let that dictate our day, or we can be grateful for the other things in our lives even if they are not present in front of us right now. Did you ever notice that when something nice happens, we tend to smile for a moment and then move on? However, when something goes wrong, we feel the need to tell everyone and anyone that will listen. It is in those exact moments of discontent that we need to focus on what we are grateful for, and it is then and only then that we will pull ourselves up from discontent. Keeping the focus on gratitude offers your mind something to smile about, regardless of outside circumstances. Focusing on people, places, and even things that make you grateful gives your mind the quiet respite that it needs to stay active and healthy in the future. Everyone has a busy schedule; that is a known fact. We all set our schedules to overflowing and then complain that we do not have time for ourselves. Take a good hard look at your schedule and see what you can delete and what you can delegate. If you are going to have a healthy mind, you need to take care of it just as you would your body. One cannot function healthily without the other. The best tip for quieting your mind is to put that on your schedule. Put it in big red pen on your calendar, text yourself a reminder, and place it on your list of things to do this week. Being in the moment has become a cliché; however, if you really take the time and trouble to learn what that means, you will learn how to quiet your mind. Focus on what you are doing at the exact moment you are doing it. In this way, you are focused on the moment at hand and not two days from now when something big is arising. These are just three helpful tips for quieting your mind. For mediation to be successful, you will need to read up a little, listen to some CDs, and most of all practice a bit of breathing properly. Here are a few easy breathing practices to make your beginning mediation experience an enlightened one. Once you are acutely aware of how you breathe, it is important to pay attention to your body. If you are not experiencing your stomach rising and falling with each breath, you may be tense in the moment. It is important to have your breath enter into the nostrils and leave through mouth naturally. Dress appropriately for meditation. If you are trying to sneak in ten minutes of meditation in your lunch hour, dressed in your business skirt and heels, chances are you will be rushed and harried. Set aside a time that is appropriate where you can wear loose-fitting clothing and where you can concentrate. Begin with the practice of releasing tension in all your body parts. Focus on the feet first and release tension in that area; move up to your ankles, etc. Do this until you have reached the top of your head. For some practitioners, tightening and releasing muscles as they go along makes for greater awareness of the release. Be consistent with your meditation practices. Do not let circumstances take over control of your meditation practice. Before you know it, you will become a pro – just stay consistent. What Is Mindfulness-Based Cognitive Behavioral Therapy? Should You Care? As you know, meditation is not only a fantastic tool, but it’s also a great way to practice being more aware of your own thoughts and feelings, such that you can then take full control of them. This brings us to the concept of CBT – or cognitive behavioral therapy. What is CBT – or Cognitive Behavioral Therapy? CBT is essentially a type of psychotherapeutic intervention that teaches people who struggle with anxiety or other issues, how to better control the nature of their own thoughts. This all starts with perception, and this is where you can use mindfulness. In mindfulness meditation, we discussed where we mentioned that you should ‘watch’ the contents of your thoughts? Try doing this the next time you’re stressed: what are you actually thinking? What you’ll find is that when you’re stressed, you are imagining the worst and this is what is causing you to get worked up. And this is the big secret to stress: other than the physiological response that we’ve discussed, stress is really a result of your perception of what’s going on around you. Put it this way: if you’re faced with a lion you will get a stress response as soon as you notice it. But if you believe the lion is your friend, then you won’t get the same stress response. Or if you think the lion is a hologram, you won’t get the stress response. The reality doesn’t matter here: what matters here is what you are thinking. And the same is true for all those sources of chronic stress we’ve discussed so far. If you are struggling with debt and with work, then your perception is that there’s a great big lion ahead of you. But if you can convince yourself that there’s no benefit to being stressed and if you can convince yourself that it’s not worth getting worked up, then you can overcome that stress and your response will be the same as if there was no pressure in your life. Cognitive Restructuring So how do you do this? • What happens if I stutter? None of this is helpful – it makes that lion seem bigger! You want to replace these for more positive thoughts but simply telling yourself it’s all alright won’t work. You need to genuinely believe it. To do this, you use cognitive restructuring. A big part of this is ‘thought challenging’, where you challenge your assumptions and test just how accurate they’re likely to be. Are you really likely to stutter? Do you normally stutter? Would people really laugh at you? Are the people in your audience that rude and unkind? And if they do laugh at you – why does it matter? You won’t have to see them again. Everyone knows that people stutter from time to time. And a little embarrassment never killed anyone: it will just make you a better public speaker next time. Cognitive Behavioural Therapy has taken a bit of a bad rap recently with meta-analytical research showing it seems to be getting increasingly less effective in the treatment of depression. And neuroscience is showing that strong emotions often precede thoughts, so changing thoughts may do little for extreme conditions like Post Traumatic Stress Disorder and addictions. So in this video, I seek to give you a sense of the true values and limitations of CBT, and I share 3 CBT techniques you can use for anxiety. If you can do this as you go through your routine and be more aware of your state of mind, then you’ll find that you can prevent the stress response before it arises and rob your anxieties of all their power over you. For more serious anxieties and phobias, you can even take this one step further and try what is known as ‘hypothesis testing’. Here, you simply test your fears by standing up to them and letting them happen. For example, you would go out onto the stage and purposefully stutter. You’ll find that no one laughs and nothing bad comes from it! But what if you’re not stressed? What if your work isn’t particularly high pressured, your relationships are good and you have plenty of money? Does that mean you’re fine? Probably not. Unfortunately, many other aspects of our modern lifestyles cause symptoms similar to those of stress. One example is our use of technology and artificial lighting. The brain is designed to use external cues (‘zeitgebers’ to use the correct terminology) to set its own biological rhythms including the sleep-wake cycle (circadian rhythm). This actually triggers the release of stress hormones at certain times of day. That’s because stress hormones are one of the tools that the body uses to wake itself up when you are sleeping. The release of stress hormones like cortisol and norepinephrine triggers activity in the brain that stirs you out of sleep and makes you fully alert. But if the light is on at night, or you’re looking at your phone in the evening, this will cause the release of similar stress hormones right when you’re meant to be relaxing. That means you’ll continue to feel alert and won’t give your brain time to recover. And what doesn’t help is the way that everything on the web and on TV is designed to grab our attention and pull us this way and that – this has been shown to cause effects similar to ADHD in the long term and make it harder for us to concentrate on any one thing for very long. The above is an example of how stress is entirely a result of what’s going on in your life or even what you’re thinking. Instead, stress can be a result of outside factors that physically influence you. A way to think of it is like this: Physical Sensations > Feelings > Emotions > Thoughts > Behaviors That is to say that your emotions are very often the result of physical things affecting your physiology. For example, if you’re in a colder environment, this actually increases the amount of cortisol and the amount of norepinephrine. Physiologically, this is the same as low-level stress and that’s why a cold shower is a great way to wake yourself up! This is also why being cold for too long can make you ill – as the stress response is suppressing your immune system. Likewise, if you are hungry, then this triggers a physiological type of stress. Essentially, hunger causes your brain to release cortisol due to a decrease in blood sugar. When blood sugar is low, cortisol is released and the body responds to this as it would any other type of stress. Why? Because as far as the body is concerned, this is a form of danger. If you are hungry, then you need to become active and get out there in order to seek out a source of food. Ghrelin, the hunger hormone, is released alongside cortisol and myostatin which breaks down tissue to provide energy. When you eat, on the other hand, this causes a sudden spike in your blood sugar. That, in turn, will cause you to release insulin, which absorbs the sugar for use around the body (either in the muscles and brain, or to be stored as fat). This also has the effect of leaving behind another substance called ‘tryptophan’, which is found in most foods but doesn’t get absorbed. Tryptophan makes its way through the circulatory system all the way to the brain, where it crosses the blood-brain barrier and converts to serotonin (as it is a ‘precursor’ to serotonin). Serotonin is the ‘feel good hormone’ and it’s also a precursor itself: this time to melatonin – the sleep hormone. This is why when you eat a large meal, you tend to feel full, then happy, then sleepy. Christmas dinner ring any bells? This is the opposite of the stress response. This is the aforementioned ‘rest and digest’ response. And this is another cycle that your body goes through constantly: it moves from fight or flight to rest and digest. You just don’t notice this because in a perfect world, that shift will be subtle and you won’t feel it too much. You just move slightly up and down the spectrum, becoming slightly more alert and focussed and then slightly less so. Nevertheless, though, this constant fluctuation does have an impact on things like your productivity and your mood. And it is also closely tied to the sleep-wake cycle. When you wake up, for instance, you are in a fasted state having slept all night: thus you have high cortisol. Hopefully, at this point, you have all the tools and knowledge you need to begin reducing and combating the stress in your own life. This isn’t going to be an easy ride. Stress for many of us has become a normal part of life and habits are hard to change. But by using meditation, you’ll find that you can reduce your base level of stress and rebuild some of the damage to your brain caused by anxiety. What’s more, is that this will teach you to be more aware of your thoughts and better able to control them and thereby steer your emotions. It’s time to wrestle back control of your mind. You tell your body when it needs to wake up and when it needs to focus. You decide what’s worth worrying about. And when you’re home and work is over, you use this power to allow yourself to rest, recover and forget all about the stresses of the day. What is mindfulness cognitive behavioral therapy? Mindfulness-based cognitive therapy (MBCT) combines cognitive-behavioral techniques with mindfulness strategies in order to help individuals better understand and manage their thoughts and emotions in order to achieve relief from feelings of distress. Is Mindfulness-Based Cognitive Therapy Effective? While cognitive behavioral therapy has always emphasized the end result of the change of one’s thoughts, mindfulness really looks at how a person thinks — the process of thinking — to help one be more effective in changing negative thoughts. Is mindfulness the same as CBT? CBT generally involves one-to-one sessions with a CBT therapist identifying which thoughts or situations may be a problem and working together to improve or change a particular way of thinking. Both CBT and Mindfulness encourage you to be aware of your thoughts and feelings rather than push them away or ignore them. What is a guided meditation? Guided meditation is simply “meditation with the help of a guide”. It’s one of the easiest ways to enter into a state of deep relaxation and inner stillness, and it’s one of the most powerful ways to eliminate stress and bring about positive personal changes. How Does Guided Meditation Work? Guided meditations can be experienced either in a class with the help of a meditation teacher, or by listening to a guided meditation recording. Your meditation guide will ask you to sit comfortably, or in some cases, you may be asked to lie down. You then listen to your guide while they lead you through a series of relaxing visualizations. As you gradually relax and become more and more still, stress fades away, and your mind becomes clearer and clearer. While you are in this deeply relaxed state of mind, your subconscious is open to positive suggestions, and your guide will use this time to take you on an inner journey that is designed to improve one or more aspects of your life. For example, a guided meditation might be tailored to personal empowerment and positive thinking. Another might focus on emotional healing or spiritual development. You might be taken on a guided journey to unleash your full potential, or you may choose to go on a guided meditation journey simply for the sheer pleasure of experiencing profoundly deep relaxation. As you can now see, guided meditation can be an experience that is not only relaxing, but one that enhances your sense of self, that transforms your perspective in positive ways, and that inspires you to live your life to the fullest. At the conclusion of your guided meditation, your guide will gradually bring you back to a state of normal awareness, leaving you feeling refreshed, rejuvenated and relaxed. A guided meditation might be as short as 5 minutes, or as long as an hour, depending on your personal preference. In most cases, a guided meditation of 15 minutes or longer is recommended if you wish to experience a truly deep state of relaxation and maximize the positive benefits of meditation. Guided meditation CD’s and MP3’s are extremely useful as they allow you to experience meditation at any time or place that suits you. Ideally, your guided meditation will include tranquil meditation music that will help you to relax even more deeply. Some guided meditations also include nature sounds that are synchronized with the visualizations that you are guided through during your meditation. For example, if you are guided to visualize yourself standing in a forest, then you may hear the sounds of birds and trees swaying in the breeze. If you approach a waterfall, then the sound of that waterfall may become apparent. You’ll find that when you listen to guided meditation audio productions that include a vivid tapestry of visualizations, music and environmental sounds, your senses will be immersed in the experience and you’ll be drawn deeper into the meditation. But enough talk! Rather than read about it, why not download this free guided meditation and experience it for yourself! Guided Meditation Makes It Easy! This point of focus might be your breathing, it might be a physical action, or more commonly, it may be on a mantra – a sound, word or phrase that you repeat to yourself mentally so as to stabilize your attention. One of the main reasons why guided meditations are such a popular alternative to traditional meditation techniques is because they require no previous training or effort to enjoy. Because guided meditation is so easy, it is very useful for people who are new to meditation. However, guided meditations can also be of great benefit to people who are very experienced at meditation. Experienced meditators will still use guided meditations in order to experience a deeper or more vivid meditation, to delve deeper into their mind than they are normally able, or to target a specific aspect of personal development that they wish to accomplish. Still wondering “what is guided meditation?” Ultimately, the best way to find out is to experience one for yourself. So follow this link to Download a free guided meditation mp3 and get ready to enjoy the bliss of effortless, relaxing meditation! Guided meditations utilize the power of your imagination and the power of visualization to effect positive personal changes. In this regard, guided meditations are even more powerful than traditional, passive meditation techniques. 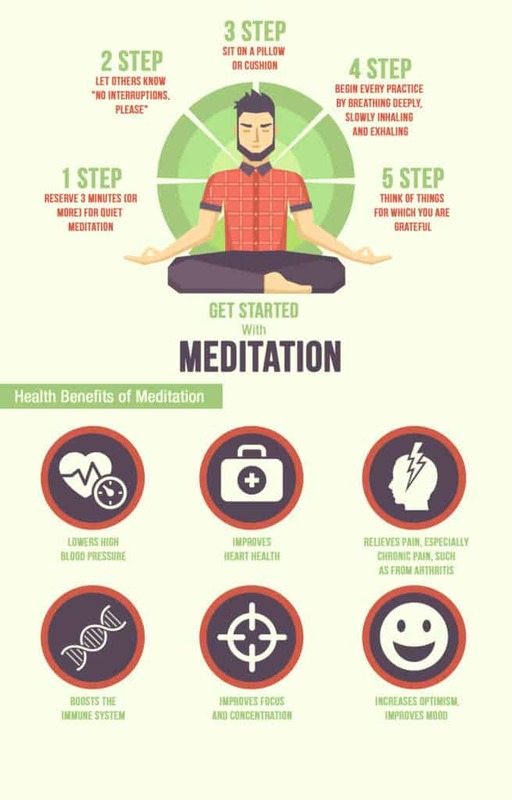 To find out more about how guided meditation can help you, please click here to move on to the following article on the benefits of guided meditation. You can meditate almost anywhere and anytime, but it’s always a good idea to have a routine for your meditation practice. There are several reasons for this, including getting your mind and body ready to get quiet, getting your family to recognize that time and place as your quiet space and to ensure your meditation practice is consistent. Try these ways to prepare for mediation. You want to decide on a time and place that will be quiet, with as few distractions as possible, for meditation. Turn off your phone, shut out the lights, tell your loved ones you are unavailable. It doesn’t matter if you choose to meditate in your bedroom or in your office. The time of day is totally up to you also. Maybe when the kids are in bed or first thing in the morning is good. Just choose a time when you can have solitude and are alert enough to concentrate. Space can be big or small. The most important thing is consistency. This isn’t something everyone might want to do, but it’s a great way to set the tone for mediation. Our sense of smell is the best for recalling memories, so when you smell that familiar smell, your mind and body will start to prepare automatically for mediation. Some people prefer silence, and that’s fine too. But beginning mediators find that total silence can be a bit too overwhelming at first. That might sound strange but think of all the noise we are used to. No matter where you go, you hear TV’s or music piped in. If you want to play some music while meditating, find something soothing with no lyrics. Our minds tend to “grab” the words the singer is singing and wants us to sing along. Best to avoid that. Play the music softly so that it doesn’t end up becoming a distraction. There may be times when you are in a suit and want to mediate. That’s good too. But most people find it easier to sit for a while if they are as comfortable as possible. This means comfortable clothes. But if you get the urge to meditate in your suit or dress and heels, go for it! Since we hope to reduce the amount of distraction, it’s always a good idea to go to the bathroom, get a drink of water, blow your nose, put on a sweater, etc. before you sit. It’s hard to concentrate when your throat is dry and you keep coughing. It’s always a good idea to do some stretches before sitting, especially if you plan to sit for an extended period (whatever that means to you). While certainly not mandatory, doing a few simple standing yoga postures before sitting can prepare both your body and mind for sitting. Some that are good for this include cat pose, sun salutation, standing forward bend, chair pose and downward dog pose. The author of numerous articles on the science of sound, Dr. Christopher Lloyd Clarke is well versed in the scientific principles of psychoacoustics and music psychology, and he applies these principles whenever he writes music for hypnosis and deep relaxation. A long-time meditator himself, he combines the artistry and science of music composition with his own unique insights into relaxation states. Not only does he compose and produce music for professional meditation teachers, hypnotherapists and holistic healers, but he also has hands-on experience in personally using music to achieve deep, healing, transformative states.